Short days and chilly nights may not be the stuff of dreams, but there are plenty of ways to beat the winter chill. 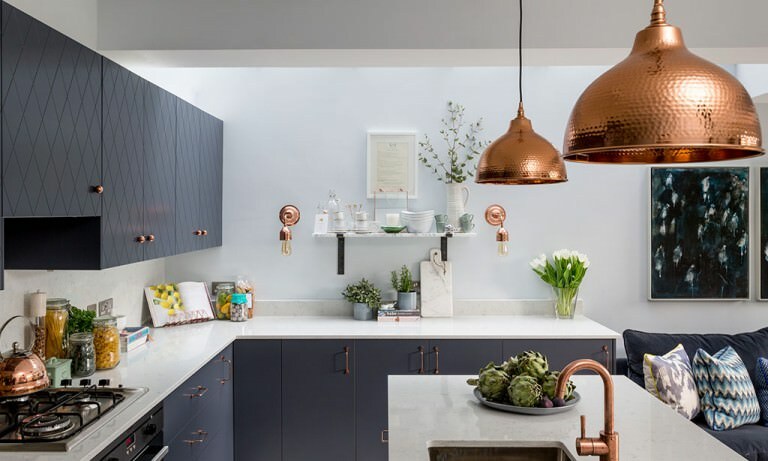 Now is the perfect time to revisit interiors, making the practical and decorative tweaks that will set up your home for the cold spell. Here are our top tips for adding a dash of seasonal sparkle. Silky soft throws, faux furs and decadently thick cashmere are all unbeatable ways to add a touch of hotel quality luxe to your interiors scheme. Try Brora’s (brora.co.uk) Cashmere Woven Blanket, £549, for the ultimate comfort factor. For a cosseting, chic look, update curtains with full-length wool options – Harris or Herringbone tweeds create timeless appeal. John Lewis (johnlewis.com) offers a good range of wool fabrics. Other simple revisions include swapping your regular duvet for a goose down or silk option, both of which are warm and light. Make your fireplace the focal point. 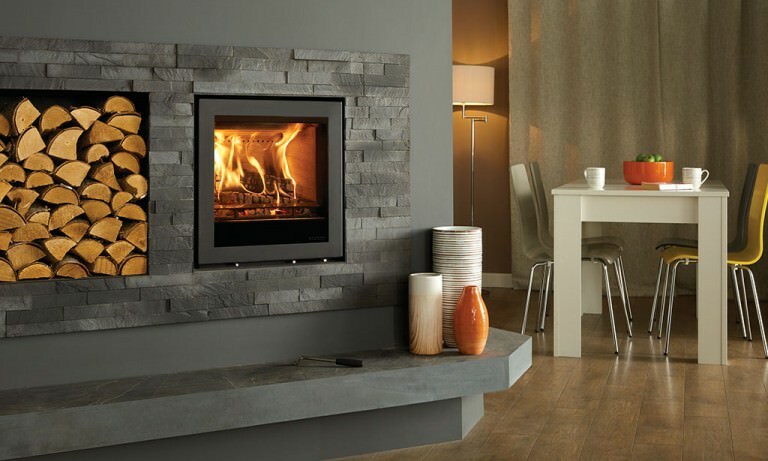 Upgrading to a wood burner is an energy-efficient move. Its closed design allows for up to 81% efficiently rates compared to an open fire’s 25%, ideal for warmth as well as aesthetic appeal. Chesney’s (chesneys.co.uk) offers a wide range of classic styles, while Stovax (stovax.com) provides contemporary charm with its new minimalist range, including the Elise Glass inset fire. And if you don’t have a fireplace, consider the new generation of freestanding curved wood burners produced by Scandi specialist Morsø (morsoe.com). Choose evocative blooms to complement a wintery scheme. Bloom & Wild’s (bloomandwild.com) Sara Gordon suggests adding stacks of fresh rosemary, bare branches and wild raspberries to winter bouquets. Decorative flourishes like these needn’t break the bank either – try a generous bunch of eucalyptus in an oversized glass vessel for both impact and scent or adorn side tables and cloakroom counters with foraged sprigs of winter berries. The key to a beautifully lit home is a confident layering of light. 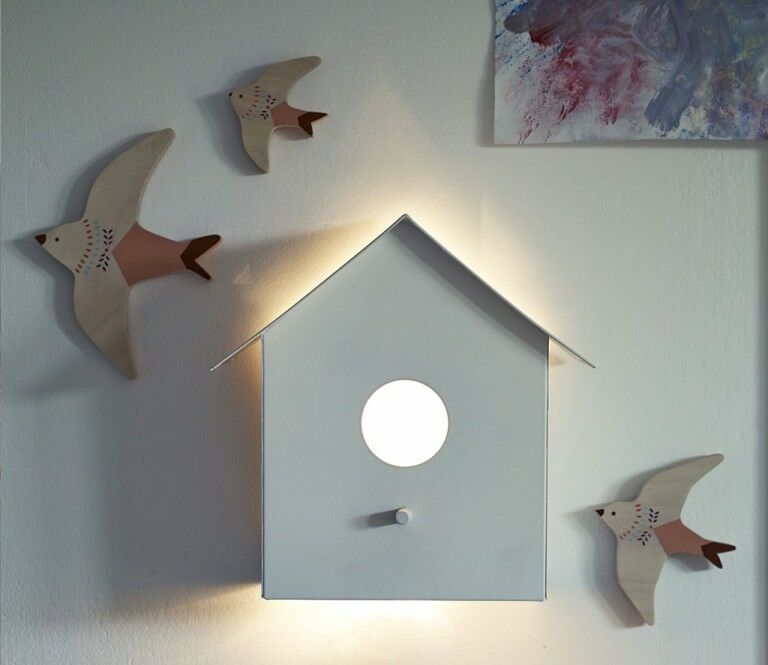 Avoid too many downlighters and introduce plenty of ambient light from table lamps and dimmable pendants. Sometimes the simplest of tweaks strikes the right note: Lucy Uren of cult online lifestyle store Rowen & Wren (rowenandwren.co.uk) suggests replacing high wattage bulbs with retro ones for a flattering golden glow. Take your cue from the current industrial trend and try an LED filament dimmable bulb such as the Tala range, from £26, at Heal’s (heals.com). For a quick update, try seasonally scented candles, sprays, reed diffusers, and tealights. The White Company’s (thewhitecompany.com) signature Winter Candle will add spicy notes of clove and cinnamon to your home – try its tea lights, £15 for twelve, to introduce subtle scent throughout. The clove-studded orange scent of Diptyque’s (diptyqueparis.co.uk) Pomander, £42 is another home fragrance classic. A welcoming porch immediately sets the tone. At this time of year, opt for some extra magic with tall hurricane lamps flanking the front door and hanging candle lanterns suspended from bare branches in the garden for special occasions. Treat your front door to a lick of paint – jewel-toned hues such as midnight blues and emerald greens are having a moment. Farrow & Ball (farrow-ball.com) offers a good range, from £59 for 2.5 litres. 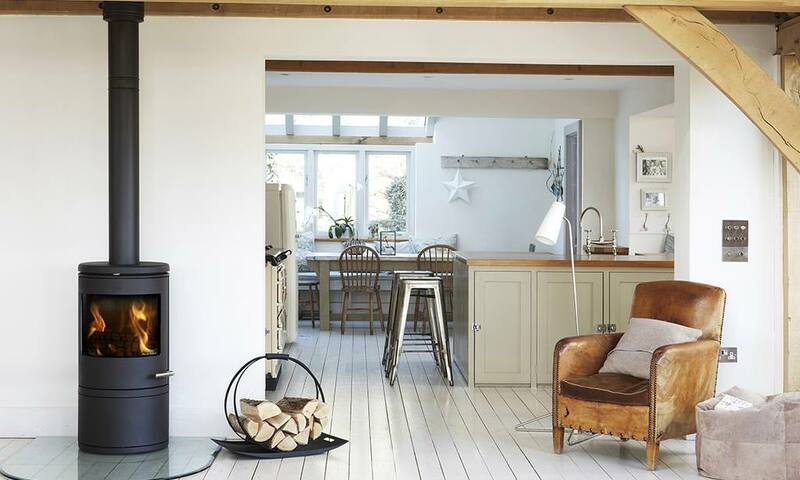 Exposed floorboards can be draughty and uncomfortable as the nights draw in. Invest in a rug – a cost effective way to do this is to have a length of carpet whipped at the edges to form a bespoke size. Otherwise, consider underfloor heating to beat the chill. ‘Retro fit’ options such as those at Nu-Heat (nu-heat.co.uk) include super-thin systems that can be simply applied to existing sub floor surfaces without the need to readjust floor height levels. Try introducing bright touches in unexpected ways – upholster an antique chair in a bold geometric for a striking contrast; frame a generous-sized favorite jewel-coloured fabric on the wall; group together a collection of coloured glassware or collate tableaus of vintage ceramics. Remember to scale-up touches like this to avoid losing them in your overall scheme. Often, introducing one statement fabric, picking out key colours, is all it takes to inject a dose of winter chic. Make sure you don’t miss out on the latest news and insights from Pride of Britain Hotels – sign up here to receive our email newsletters and get the latest articles delivered straight to your inbox. To read all our recent news and blog posts, visit our Editorial page.